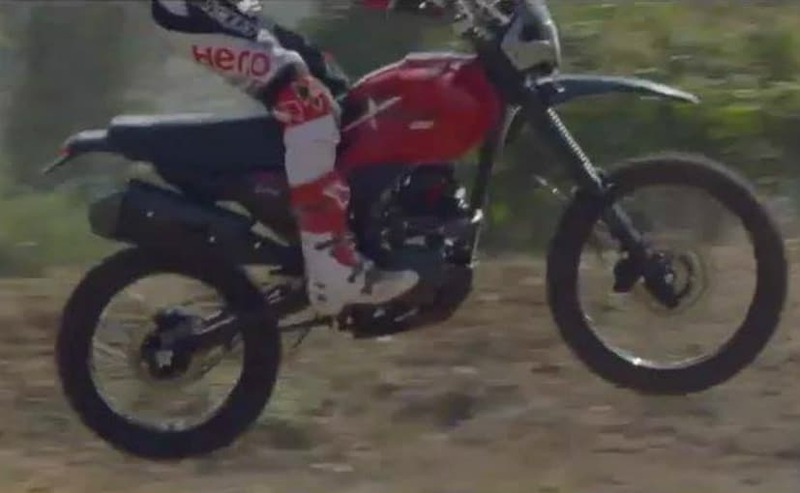 The Hero XPulse has been spotted testing and from the looks of it, the bike is ready for launch. We expect Hero to launch the XPulse 200 in India in the next couple of months. The Hero XPulse gets the same 200 cc single-cylinder engine from the Hero Xtreme 200R, which makes 18 bhp and 17.1 Nm of peak torque and will have a 5-speed manual gearbox. But we expect the tuning to be different, with the engine offering much more in the lower revs and even the gearing ratios could be different. Along with the regular Xpulse 200, there was also a red unit, which seems to be a custom model which doesn't have the bashplate, front mudguard and the rear tail-piece. Also, it happens to get a fully flat seat unlike the step design seat which is on the, making it appear a little taller. There is no confirmation on whether it is a special edition unit or will it be on sale along with the regular XPulse 200. At EICMA 2018, Hero had also showcased the XPulse 200T, which is a road-biased variant of the off-road ready XPulse 200. In all probability, both motorcycles could be launched together. 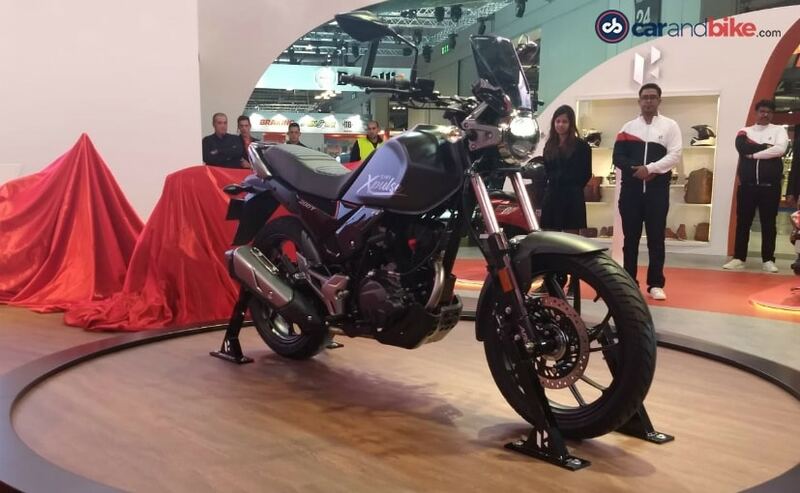 The XPulse 200T has been positioned as a "Tourer," according to Hero MotoCorp. 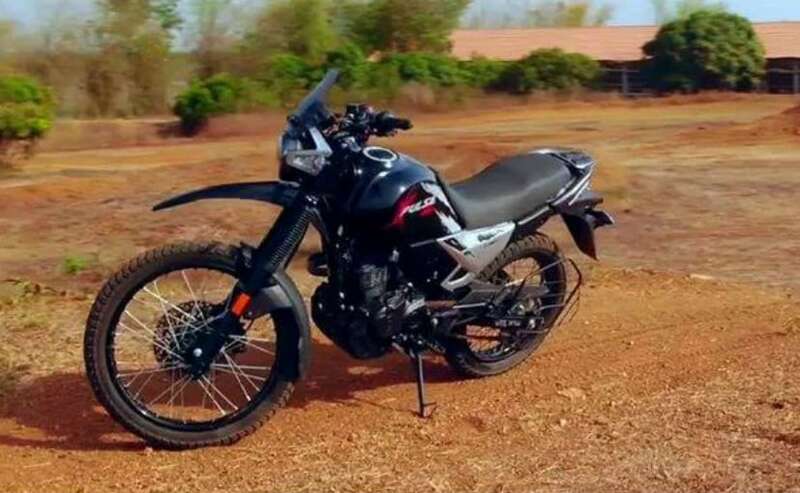 The bike has been designed keeping in mind the practical requirements of a touring motorcycle, with focus on ergonomics, and loading capability with its large luggage plate.